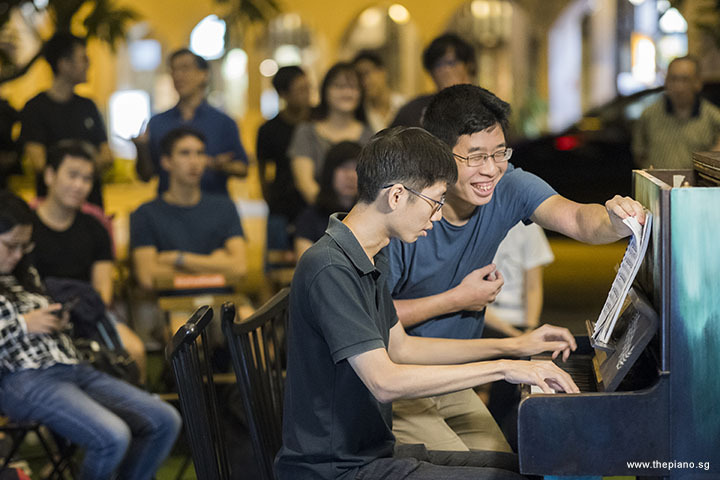 Welcome to Pianovers Meetup #101! As always, a Pianovers Meetup is an inspiring place for a group of piano enthusiasts community to end this wonderful, exciting weekend. Last Sunday evening's Meetup was our anniversary celebratory meetup, which was filled with the passion and love for the music among friends. 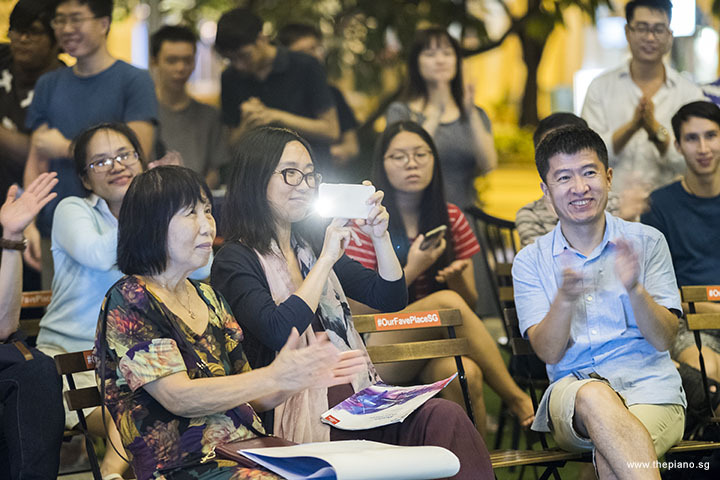 We want to thank everyone again for making last week's event as joyous as ever. 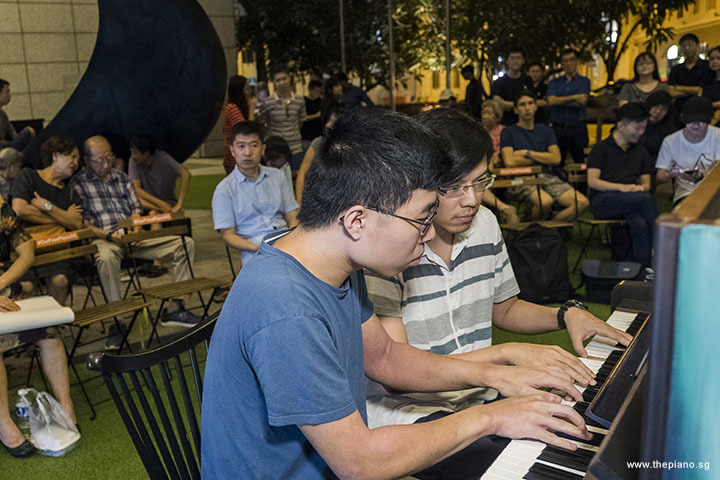 Organised by ThePiano.SG, the weekly Pianovers Meetup takes place every Sunday. 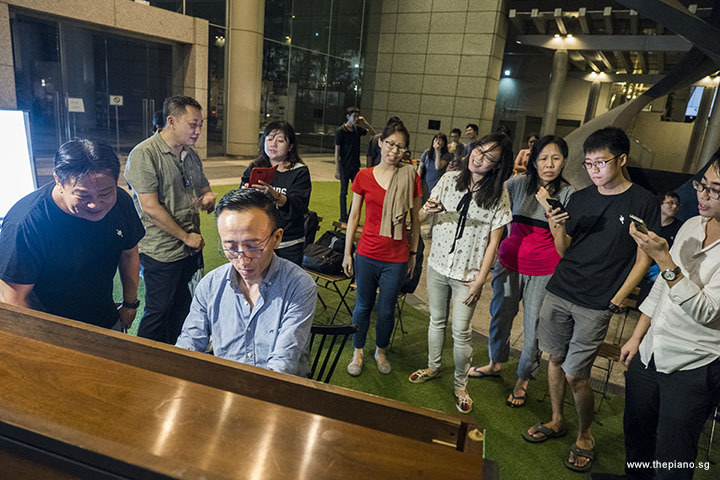 It is an excellent community for piano lovers to gather and share their passion and interest for Piano. If you're a pianist or a fan of piano musicology, you're welcome to join us. 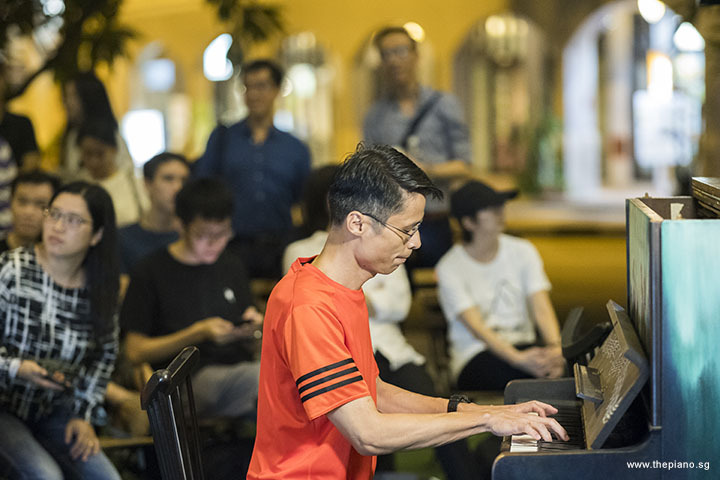 Best of all, Pianovers Meetup is a free platform! Before Pianover Meetup #101 began, Sng Yong Meng, Founder of ThePiano.SG, had a casual dinner with Jane, Lukas Lim, Zafri, Elyn Goh and Hiro. These weekly dinners are a tradition of Pianovers Meetups, and everyone is welcome to join us for dinner before the Meetup begins. Time for Announcement: The list of performers for Pianovers Recital is out! 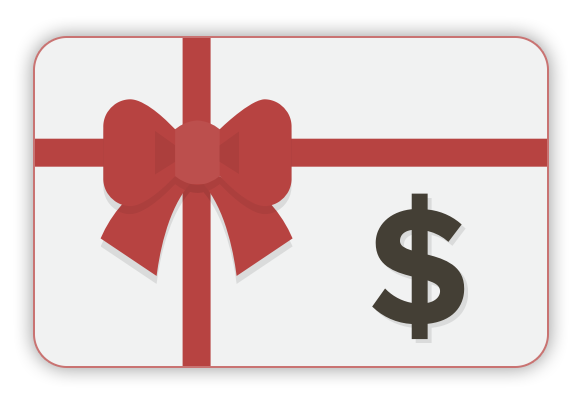 All 18 performance slots are entirely sold, within a day! We want to thank all of the registered performers for your support. We all look forward to having you perform splendidly on the stage really soon. 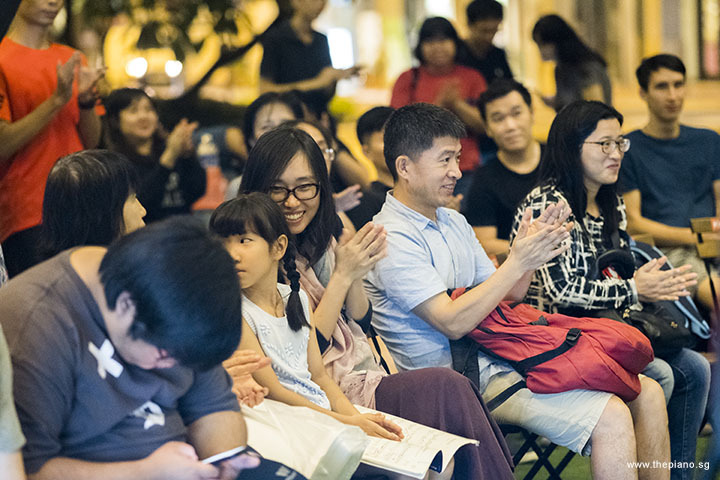 The Pianovers Recital is a platform for aspiring pianists to perform. They may come from all walks of life, but their passion for music is undisputable. 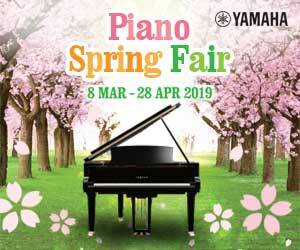 So, come and support the performances by these enthusiastic pianists! A ticket is $12 each. Free seating. Buy now! The first to start on this evening's Mini-Recital is Gavin Koh. He performed Nocturne in F sharp major, Op. 15, No. 2 by Chopin. Published in 1832, it is technically a challenging piece in A-B-A form, toward 2/4. Chopin composed a total of 21 Nocturnes for the solo piano. In fact, do you know that John Field, an Irish composer, is the inventor of Nocturne? And later on, Chopin popularised and expanded on it, building on the form developed by John Field. 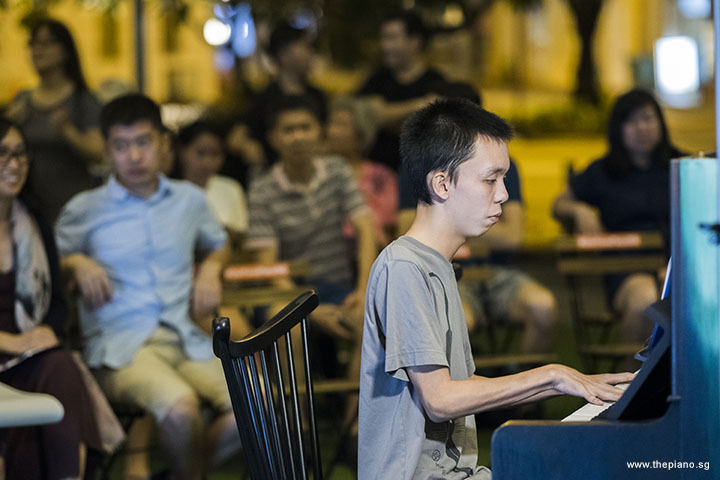 Next in turn is Chia Ming Hao, who performed another Chopin's music composition, Waltz in E minor, B. 56. This piece was composed in 1830, but it was not published until 1851, way after Chopin had passed away. This music composition was the fourteenth and final waltz in the older editions of Chopin; however, it was widely believed that it was produced before any of the waltzes published in Chopin's lifetime. Frédéric Chopin was well-known for his waltzes, which totalled up to 36. Sadly, out of this total number, only 18 to 20 are published while the rest are either in private hands or believed to be destroyed or lost. Third is Kendrick Ong Bing Shao and Pek Siew Tin - the pair's turn to perform 我只在乎你 by 三木刚 (Takashi Miki). 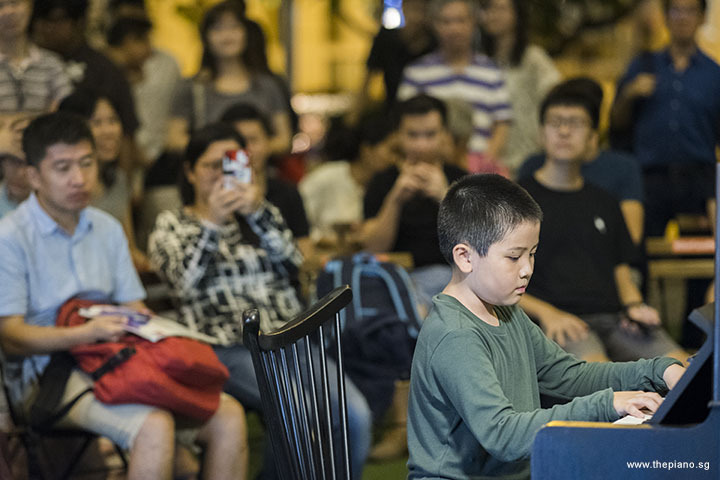 We announced that from Pianovers Meetup #101, there's a new format to our Mini-Recitals. 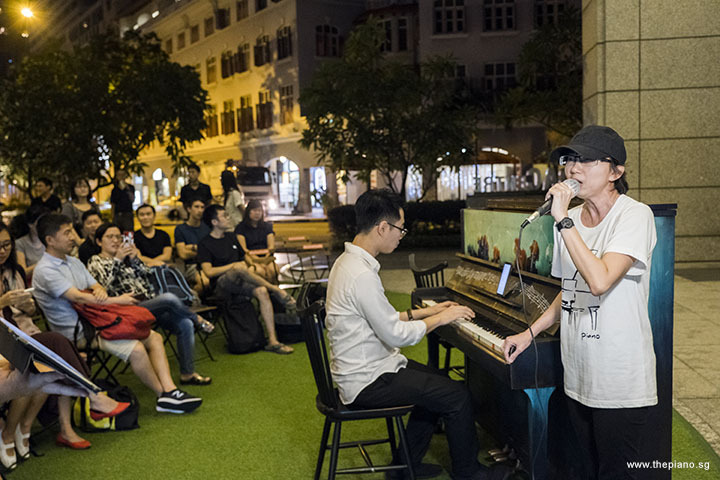 From now on, performers can play the piano and another instrument, including vocals. 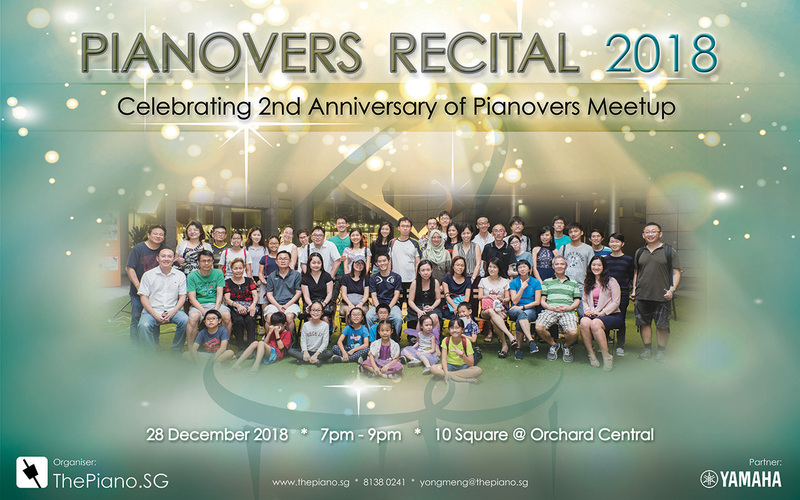 While we explore the versatility of the piano with additional instruments, the number of such ensemble performances will be capped in each Pianovers Meetup. 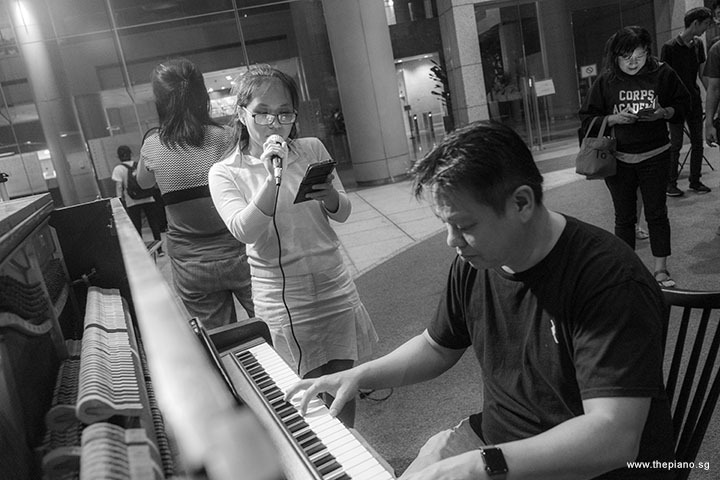 This item piece is the first ensemble performance, with Kendrick on the piano, and Siew Tin using her vocals. They performed beautifully! 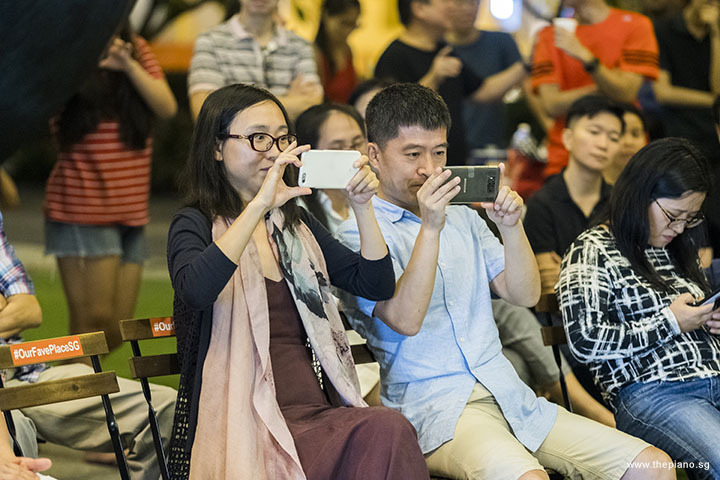 Going forward, those interested in delivering such performances should bring along their own mics, and sound system as our own mic and speaker systems are used for hosting and emcee purposes, and might not be sufficient for your performance purposes. After the ensemble performance was Albert's turn. He performed a wonderful love melody "海辺のメルヘン (珊瑚恋)" by 市川昭介. This piece is also known as Hamabe No Meruhen (Seaside Fairy Tale). 翁倩玉, a Taiwanese singer, initially sang this song but she migrated to Japan later on in her life. 珊瑚恋 was so popular that it was also also compiled in Teresa Teng’s album in 1968. Albert next also performed another beautiful tune, "秋蝉" by 李子恒. Thereafter, Kenneth Guan charmed the crowd by performing Jet Lag by Pierre Bouvier, Chuck Comeau, Nolan Sipe, Ryan Petersen that was released on April 25, 2011. Released as a song by a Canadian rock band, Simple Plan, there are officially four different versions. One of it is released as a Mandarin version featuring Chinese pop star Kelly Cha. Up next was Gan Theng Beng who performed Can't Help Falling In Love by Hugo Peretti, Luigi Creatore and George David Weiss. Composed in 1961, it was a pop ballad that was initially performed by the King of Pop, Elvis Presley. This song was also featured in his 1961 film "Blue Hawaii". If you listen carefully, one may notice the catchy melody. Trivia time! This melody was inspired by the romantic piece "Plaisir d'amour" (1784) by Jean-Paul-Égide Martini. The next Pianover to perform is Lai Si An. He performed Despacito by Luis Rodríguez, Erika Ender and Ramón Ayala. Despacito was noted for favourable reviews from music critics, who praised the merging of Latin and urban rhythms. The song’s catchiness and its theme composition also receive good words. It has also received Latin Grammy Awards for Record of the Year, Song of the Year, Best Urban Fusion/Performance, and Best Short Form Music Video at the 18th Latin Grammy Awards. In August 2017, the official music video for "Despacito" achieve stellar results on YouTube. It became the most-watched video, having received three billion views. It also became the first YouTube video to achieve three, four and five billion views. Thank you for the fantastic contemporary performance, Lai Si An! Fang Ming Yu then performed the popular music record, Chattanooga Choo Choo by Harry Warren. It was composed in 1941, and also used in the movie "Sun Valley Serenade" in the same year. The song narrates the tale of Harry describing the train's route, as it travels from Pennsylvania Station in New York to Baltimore, North Carolina and finally Chattanooga. 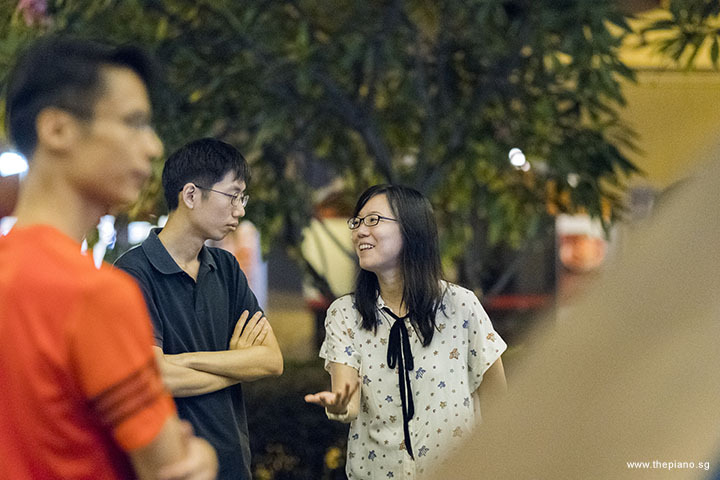 He mentioned a woman he knew from a long while back, who will be waiting for him at the station. He plans to marry her and spend the rest of his life with her. It also was the first song to win a gold record, presented by RCA Victor in 1942, that honoured the song’s sales of 1.2 million copies. The original gold and silver record awards were bestowed to artists by their own record companies in recognition of their sales achievements. Fang Ke took her turn by playing Always With Me by Youmi Kimura. It was used in the 2001 Japanese animated fantasy film "Spirited Away", produced by Studio Ghibli. Here's a fun fact: Nine of Studio Ghibli's movies are among the top 15 anime films made in Japan. 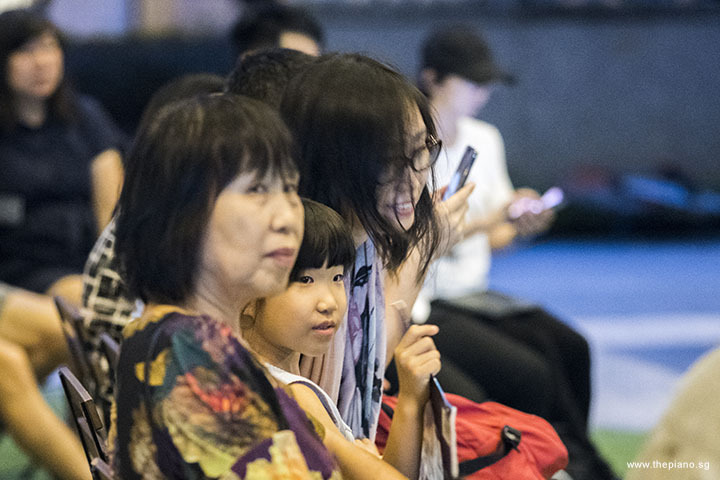 "Spirited Away" was the second highest-grossing film and brought in USD290 million worldwide. The film recounts the unusual experiences of ten-year-old Chihiro when she enters the spirit world with her parents. In the spirit world, her parents are transformed into pigs by the witch Yubaba. Chihiro then tries to free the whole family and return to the human world. 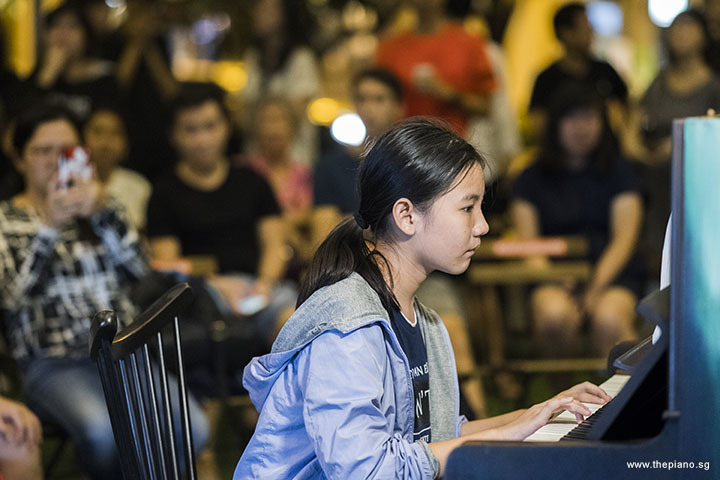 Going back to classical composition playlist was Ashley Nguyen, who performed Fantaisie-Impromptu in C# minor, Op. posth. 66 by Chopin, composed in 1834 and published after his death, in 1855. This was despite the fact that Chopin had instructed that none of his unprinted manuscripts should be published. The Fantaisie-Impromptu is famously known as one of Chopin's most frequently performed compositions, and it is still unknown till today why Chopin refused to release the Fantaisie-Impromptu. In 1962, Rubinstein speculated that the words "Composed for" in place of a dedication imply that Chopin received payment for the work, so he had actually sold it to the Baroness. So it seems like the mystery was solved! 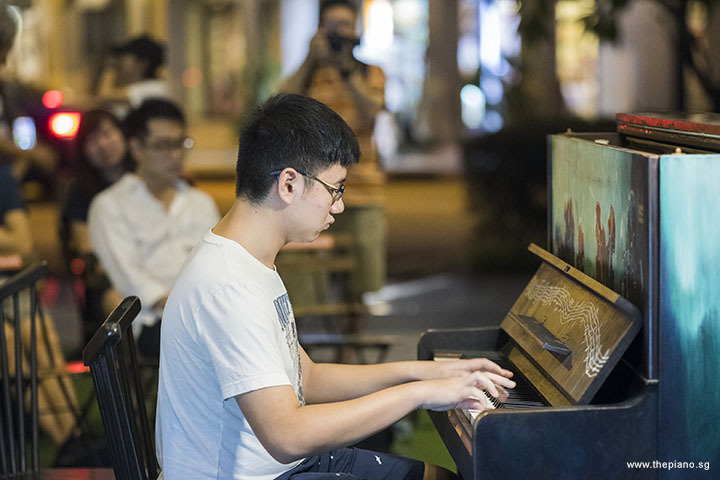 Continuing with classical melody, Zhang Enrui performed The Clown, Op. 39, No. 20 by Dmitry Borisovich Kabalevsky and Romanze (from Eine Kleine Nachtmusik, K. 525, second movement) by Mozart. The latter was composed in 1787 for an ensemble two violins, viola, and cello with optional double bass but is often played by string orchestras. The German title is meant as "A little Serenade" which represents the tempo of the music. Mozart listed the work as having five movements, starting with Allegro – Minuet and Trio – Romance – Minuet and Trio – Finale. Here's another interesting fact, the second movement in his music listing, a minuet and trio, was speculated missing and no one knows if Mozart or someone else removed it. 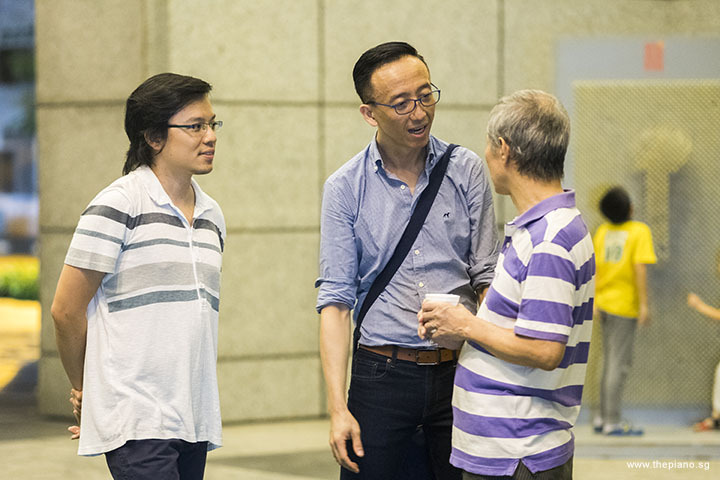 Following Zhang Enrui footsteps is Jonathan Lam. He performed the Eight Concert Etudes for Piano in E minor, Op. 40 No. 2 ‘Reverie’ by Nikolai Kapustin beautifully. Kapustin was a Russian composer and pianist who's teacher was also the teacher of Vladimir Horowitz. If you don't know about Vladimir Horowitz, he was lauded for his virtuoso method, his tone intensity, and the excitement induced by his performance. Horowitz was recognised as one of the greatest pianists of all time. 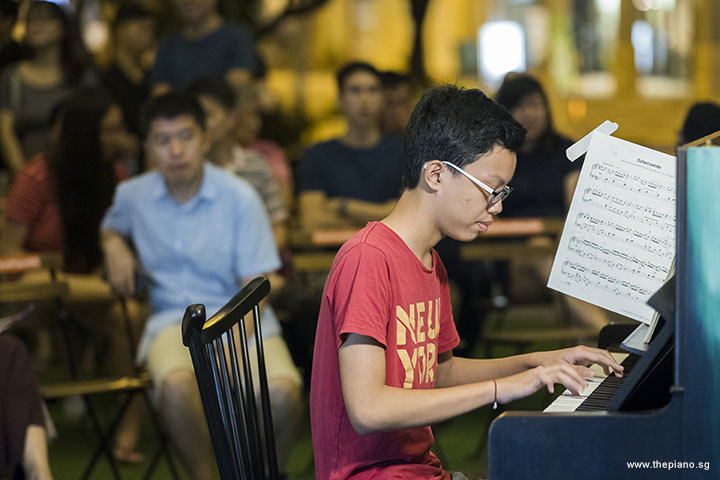 Jeremy Foo and Teh Yuqing then took their turn by performing the Petite Suite L 65, 3rd movt (Menuet) by Claude Debussy. The "Petite Suite, L 65", requires a set of four hands playing on the same piano and thus this dynamic duo performance! This suite has also inspired several transcriptions, one of which is a popular orchestral version by Henri Büsser, a colleague of Debussy’s. 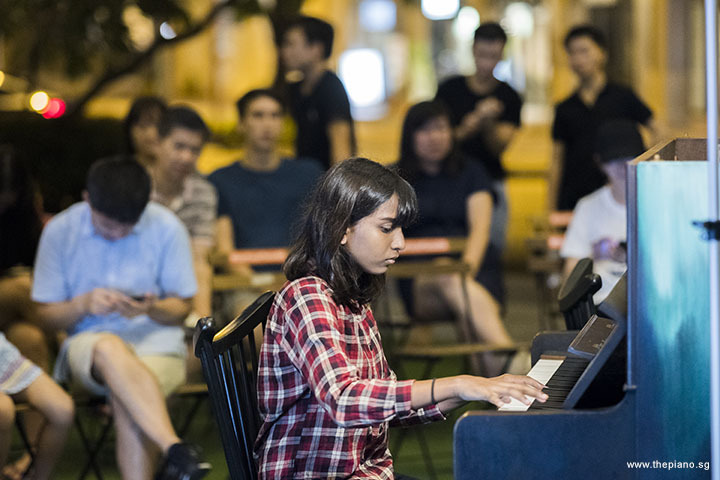 As a matter of fact, this movement will be performed by Jasmine Khoo and Janel Chua in Pianovers Recital as well. 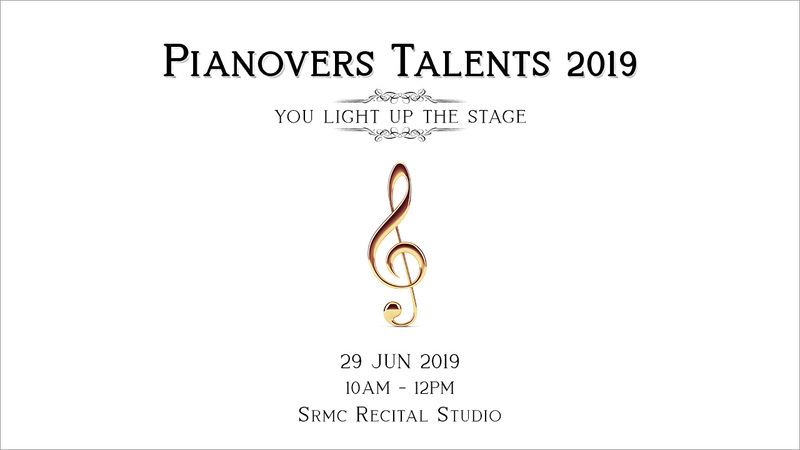 So, please do come and support our aspiring pianists! 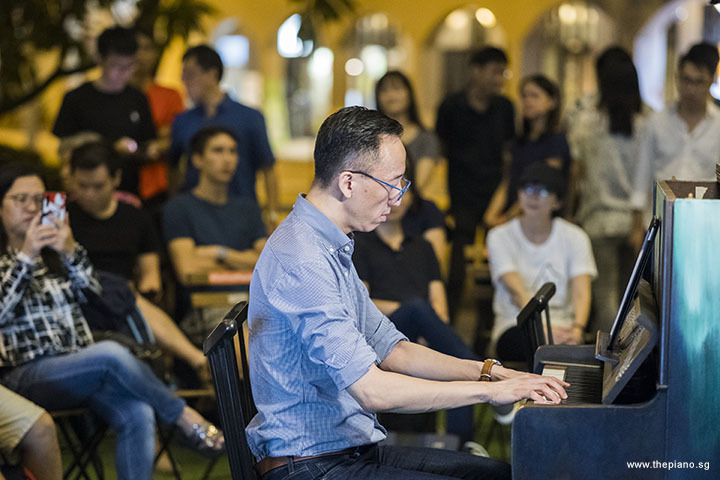 Next, Yu Teik Lee played Memory (from Cats) by Andrew Lloyd Webber, which was written for the famous 1981 musical production "Cats", and was also performed by its character Grizabella, the "Glamour Cat". This song was based on a sentimental reminiscence of her remarkable past, and a declaration of her wish to start a new life. The song, "Memory" is the climax of the musical and by far its most popular and best-known song globally. Furthermore, Andrew Lloyd Webber is the composer for another acclaimed Broadway musical, "Phantom of the Opera”. 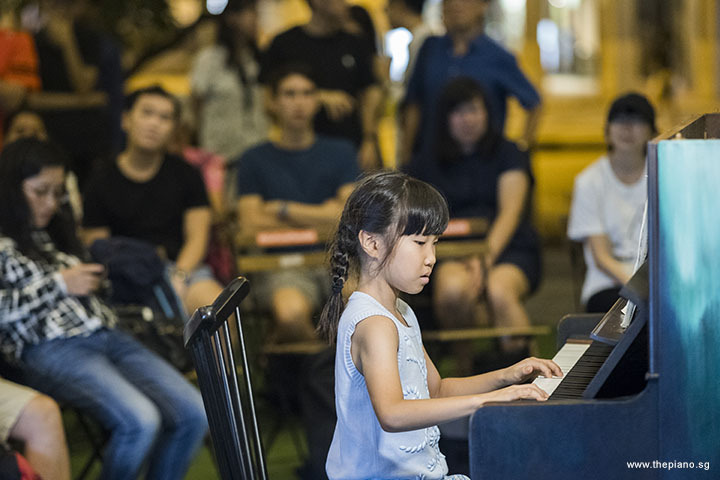 After Yu Teik Lee's turn was Joanne Tan who performed her original composition, Mid Flower, Minuet by Alexander Reinagle and Mango Walk by Kirkby Mason. Thank you, Joanne Tan, for delivering such a wonderous performance! It was definitely even more heart-warming when "Mango Walk" was presented together with her mother, Amilyn! Rei Tan and Fion Teo then performed Ave Maria by Franz Schubert. 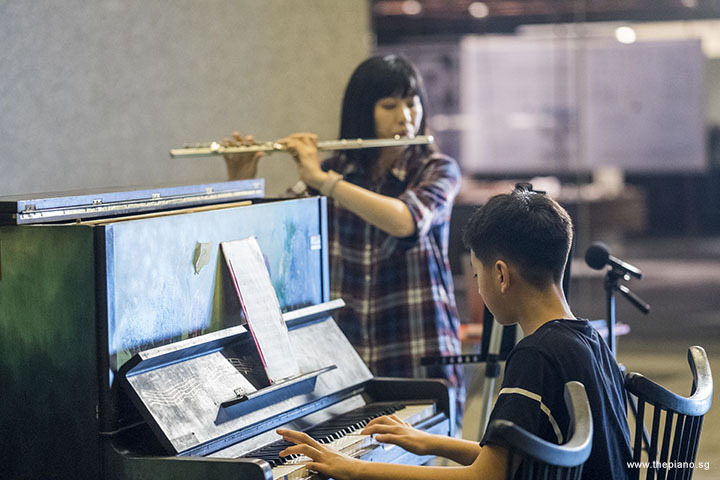 This is the other first ensemble performance with piano and another instrument - the flute. In the new format performance to our Mini-Recitals, there can only be a maximum of four ensemble performances including vocal performance. We are also thrilled to see Rei's piano teacher Fion, who played the flute, deliver this extraordinary performance with Rei. Well done, Rei! 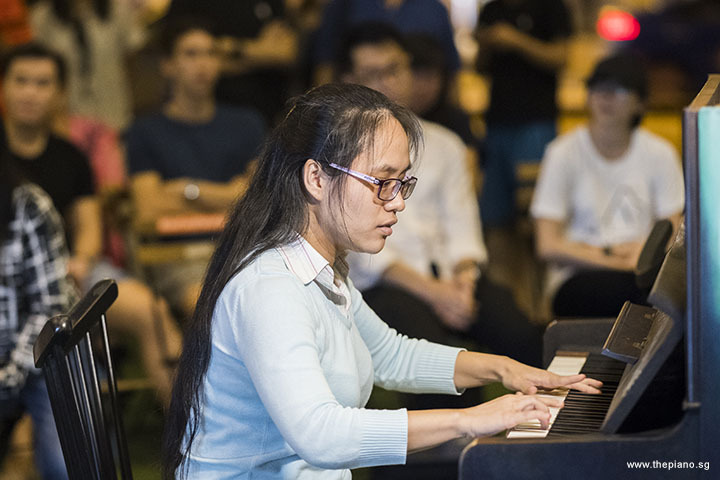 Following the duo's performances were Yang Heng's turn, who played The Concealed Four Seasons by ZUN beautifully. The song was used in the game, "Touhou 16: Hidden Star in Four Seasons", which was released on August 11, 2017. "The Concealed Four Seasons" is also known to be Okina Matara's theme on Stage 6 Boss. 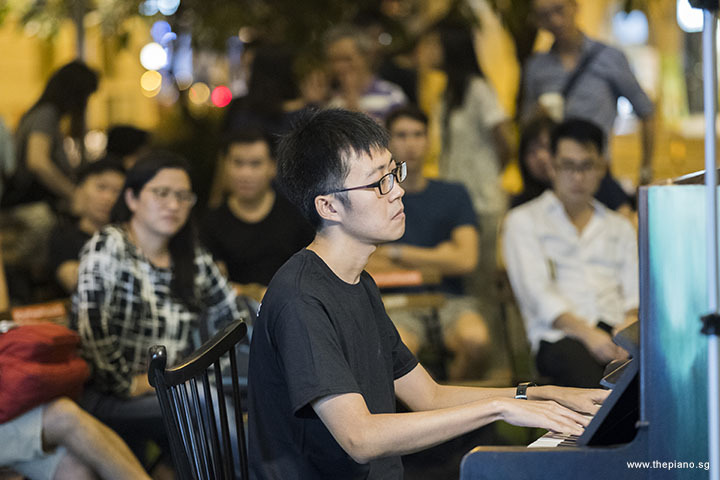 In fact, Yan Heng has performed three other pieces from Touhou's music at previous Meetups. 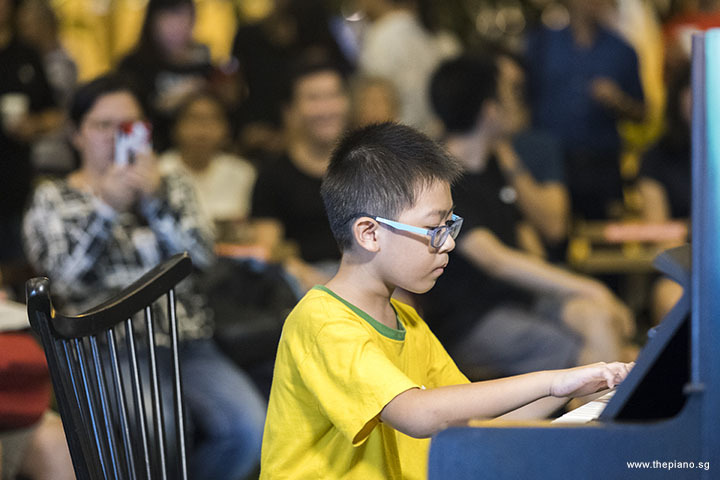 Next in line is Jaiden Soh, who performed the Sonata No.1 in G Major, 2nd movt, Scherzando by Matthew Camidge and All Is Calm by Dennis Alexander. 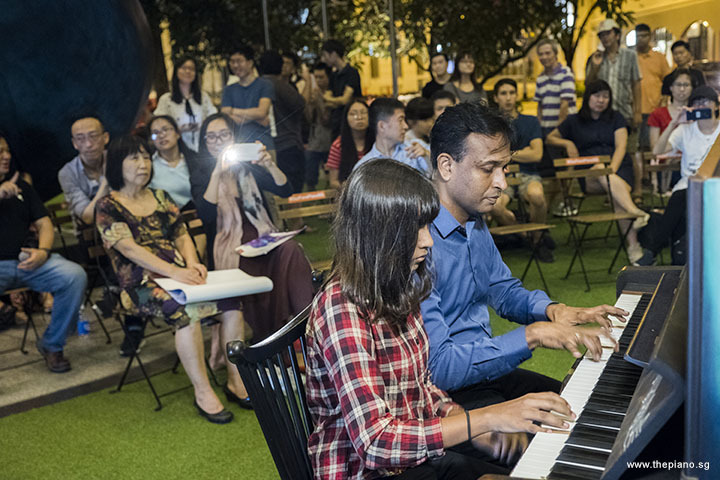 The latter piece is compiled in Trinity Grade 5 Piano Exam 2018 – 2020. Alexander was considered one of the most famous composers of educational piano music in North America. Since 1986, he has been affiliated with Alfred Publishing Company and has been actively composing on behalf of the company. 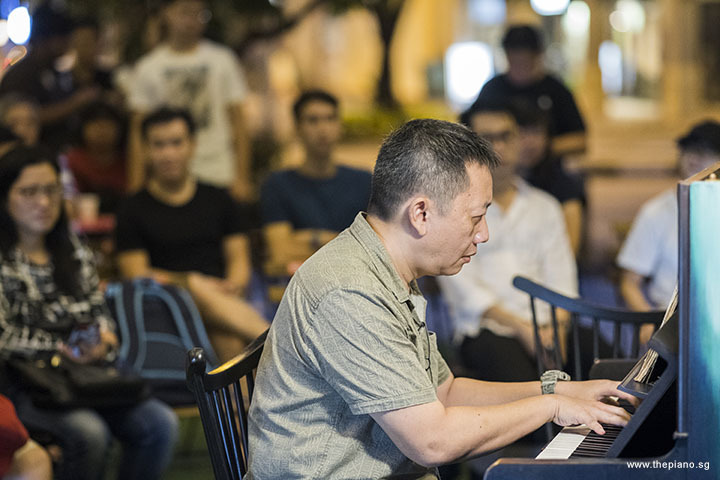 Passionate about imparting his skills to piano learners, Alexander has co-authored an exciting piano method, aptly known as Alfred’s Premier Piano Course. He recently came up with six books, known as “5-Star Solos” and this collection comprises solos intended for students from the early elementary to intermediate levels. After Jaiden's performances were Peter Prem and Jeslyn Peter's turn. They performed Chorando Se Foi (Lambada) by Chico de Oliveira, and Gonzalo Hermosa-Gonzales. It was recorded by French-Brazilian pop group Kaoma. This number was part of many ethnic places and cultures, such as the Philippines and Latin America. The song and lyrics of Kaoma's "Chorando se foi (Lambada)" are an unauthorised translation version of the other song known as "Llorando se fue", which was initially written, performed and recorded by the Bolivian Andean pop group Los Kjarkas in 1981. The unauthorised song by Kaoma resulted in a lawsuit by Los Kjarkas against Kaoma's producer Jean-Claude Bonaventure. Ending the Mini-Recital was Jeslyn Peter who played When the Party's Over by Billie Eilish. This song is a single by Billie Eilish from her upcoming debut album. It is the fourth track on the album, which was released in October 2018. The music recounts a relationship where no matter what Billie does, the other person eventually leaves her. Although she is very sad, she hides her emotions and claims that she enjoys being alone. Despite the dire meaning behind the music's lyrics, Billie Eilish is only 16 years old as she was born in 2001. 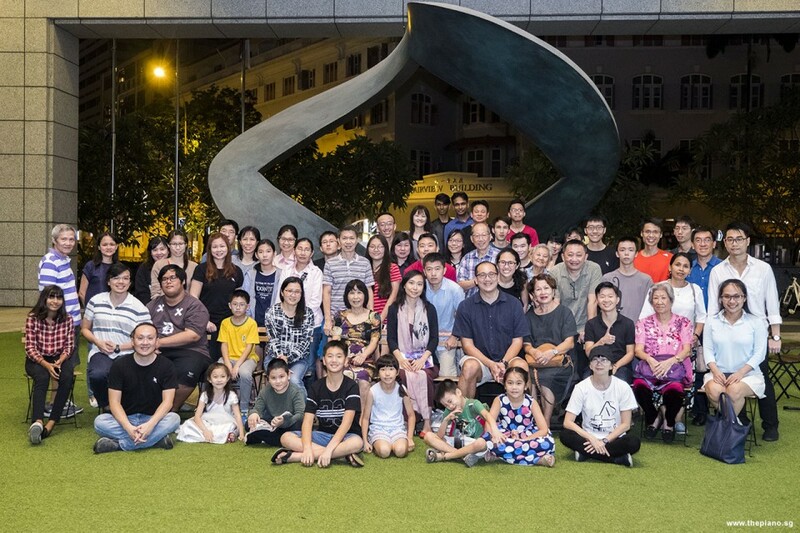 With that, the Mini-Recital ended, and the Open Segment was initiated with a group photo of 58 Pianovers attending this week's Meetup. 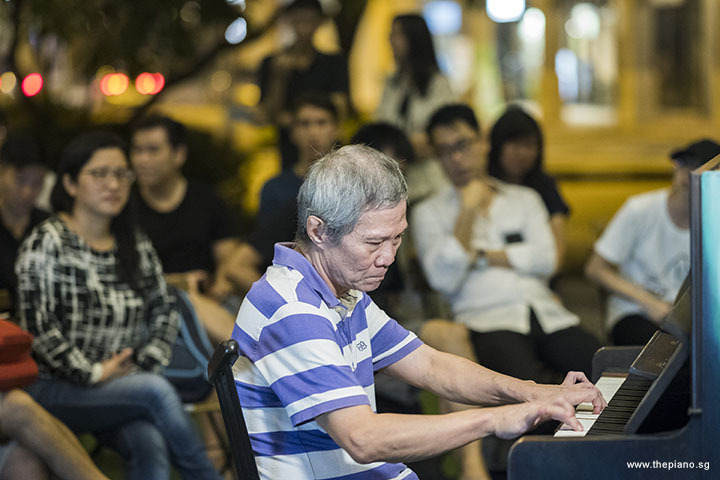 As a matter of fact, over 70 Pianovers attended last week's Celebratory Themed Meetup. If we didn't count the previous week's Meetup, then this week's Meetup is a new attendance record since the last record of 50 at Meetup #57. 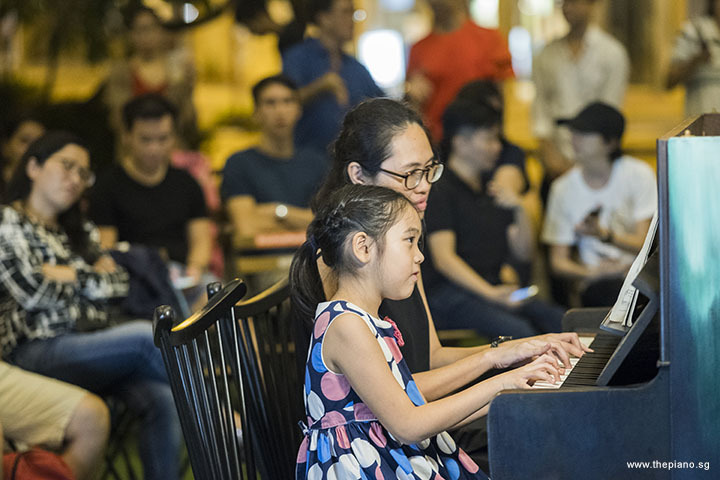 Once again, we are thrilled to see so many children, together with their parents and grandparents as well as piano teachers who joined us. 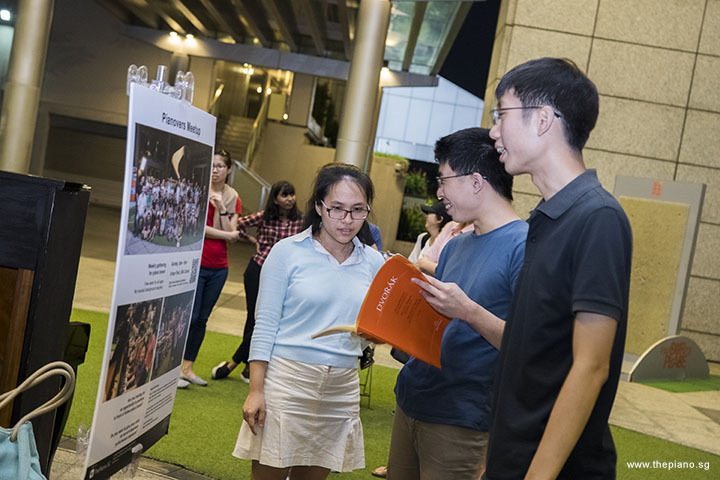 It was a fantastic out-of-classroom exposure, and it was an excellent chance for all of us to get to know each other, with piano and musicology as the common bridge to long-lasting friendships and engaging conversations. 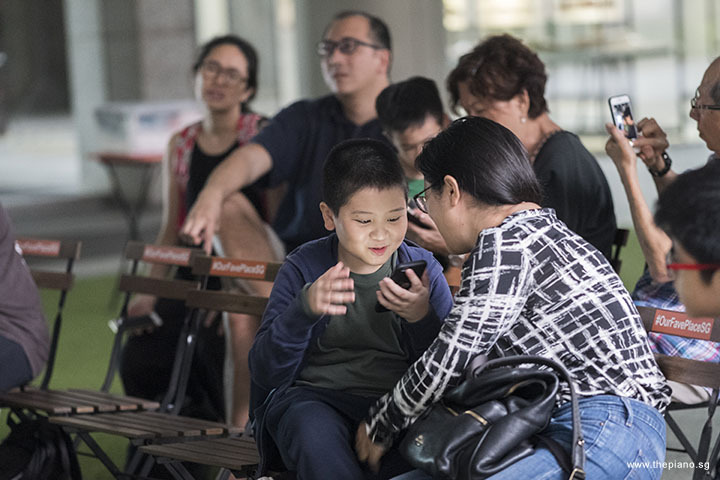 Many stayed behind to continue to jam and sing, and we even heard from Peter Prem, that his son, Joshua Peter, might bringing along his bass guitar for an ensemble performance with piano! 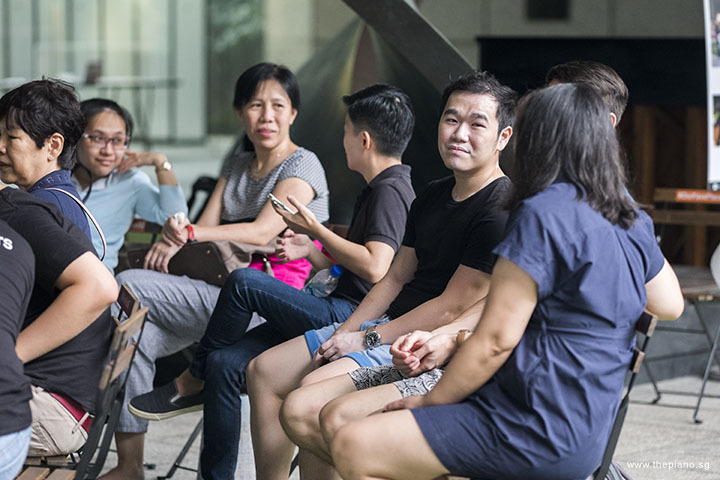 Beyond that, the Pianovers Meetup is an exceptional place to forge strong friendships built by the shared passion for the love of piano. We look forward to meeting you again at next week's Pianover Meetup!